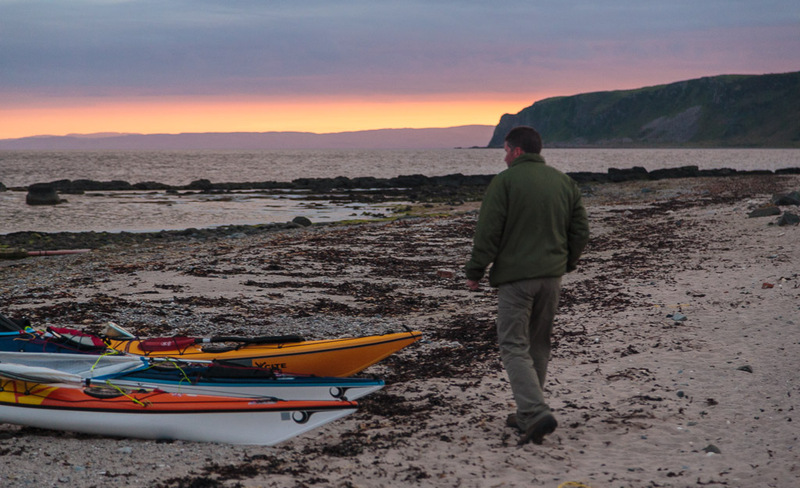 Sea kayaking with seakayakphoto.com: A swarm of dykes at Kildonan. A swarm of dykes at Kildonan. In view of the mid day forecast on 23rd May we decided not to risk paddling across the south end of the Kilbrannan Sound to Davaar Island on the 24th. The prospect of a 20km open crossing in F4-5 increasing 6 north wind was not very appealing to us. Our next planned camp site was to be the SW point of Arran some 9km further on round Bennan Head. Bennan Head can be a rough place as the tide close in (the so called Black Tide) continuously flows east and when it meets the main west going ebb things get a bit stirred up. 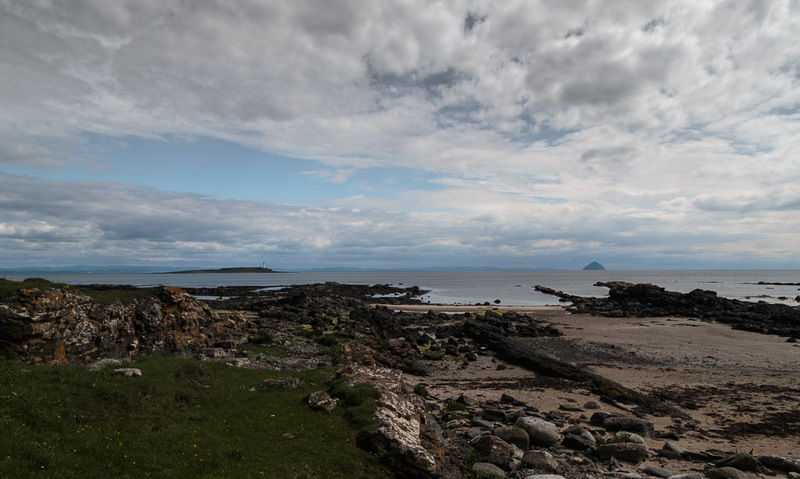 Pladda is only 700m north to south yet the tide on the north turns 2 hours before the tide turns on the south. 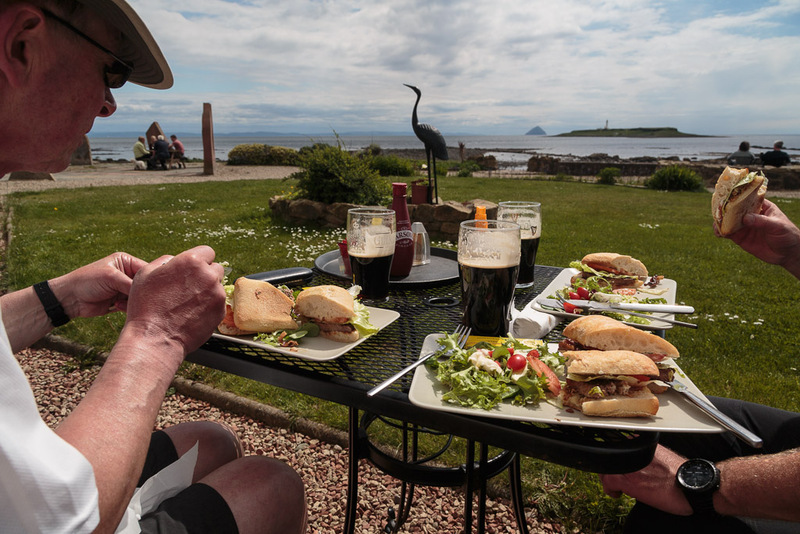 ...steak sandwiches at the excellent Kildonan Hotel. Having missed the tidal window and enjoyed lunch so much, we booked a table for our evening meal. We booked a night at the Seal Shore camp site next door to the hotel. As commercial sites go Seal Shore is very good. 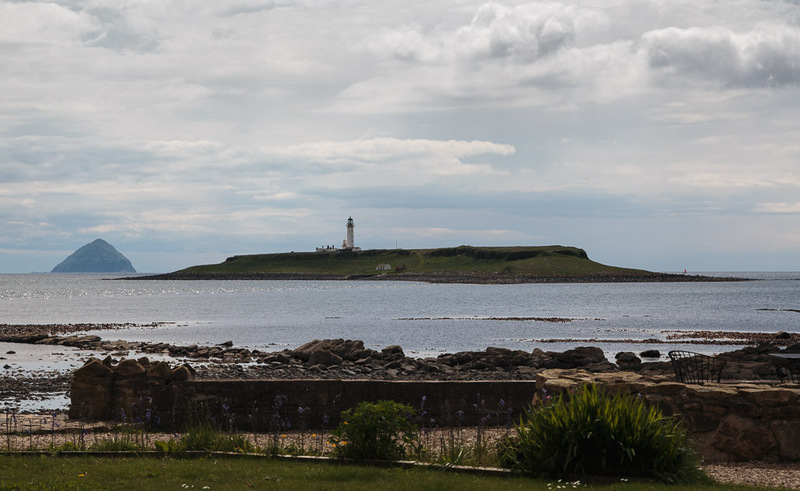 It easily accessible from the sea, the toilets are very clean and there is plentiful hot water. It is mainly used by couples and young families and even though it was a bank holiday weekend all was quiet by 10:30pm. The camp site owners also support a charitable educational project in the Gambia. 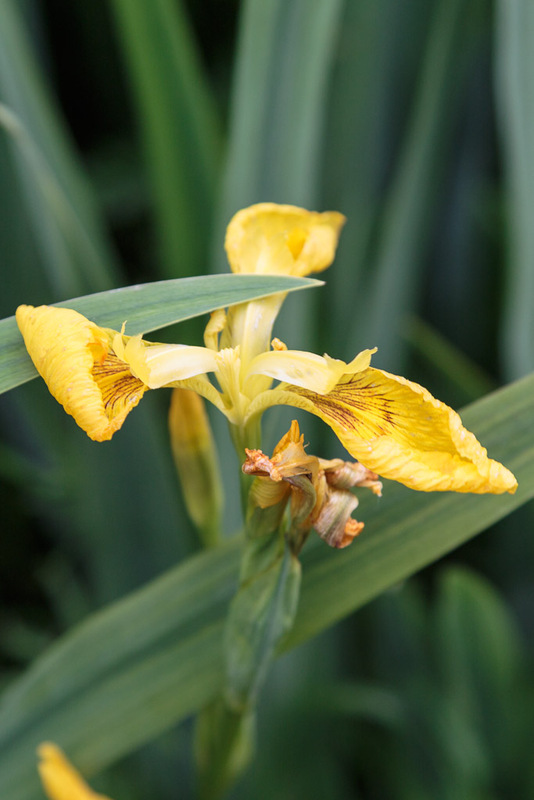 However, although the camp site covers a large area of well mown grass, we discovered that other campers like to be really close. After we had pitched our tents other campers pitched theirs so close that guy lines crossed and Ian even suggested to one camper that he could always just use one of Ian's pegs! 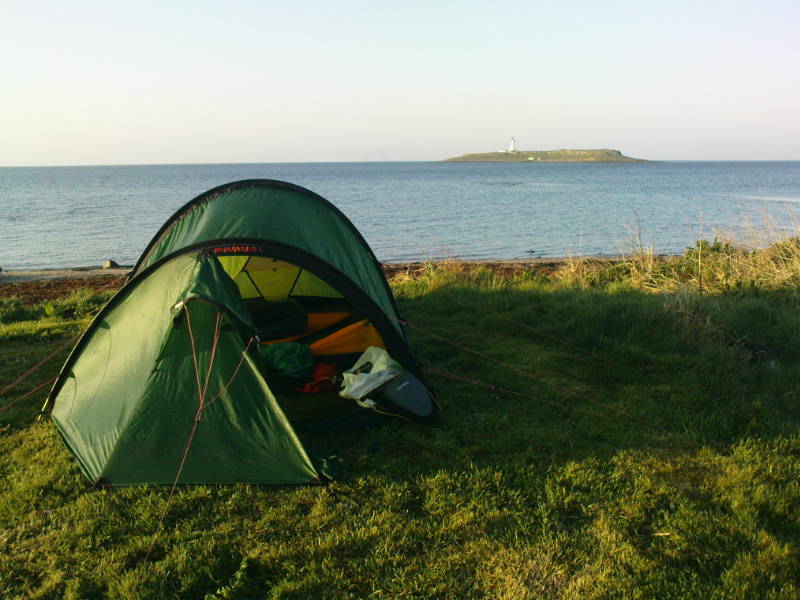 On previous occasions I have stayed here I have pitched my tent on a bit of ground outside the main camping area above the shore. This would probably have been better. However, we met some nice people on the site including a young family who were island hopping in a restored 1974 VW camper van. 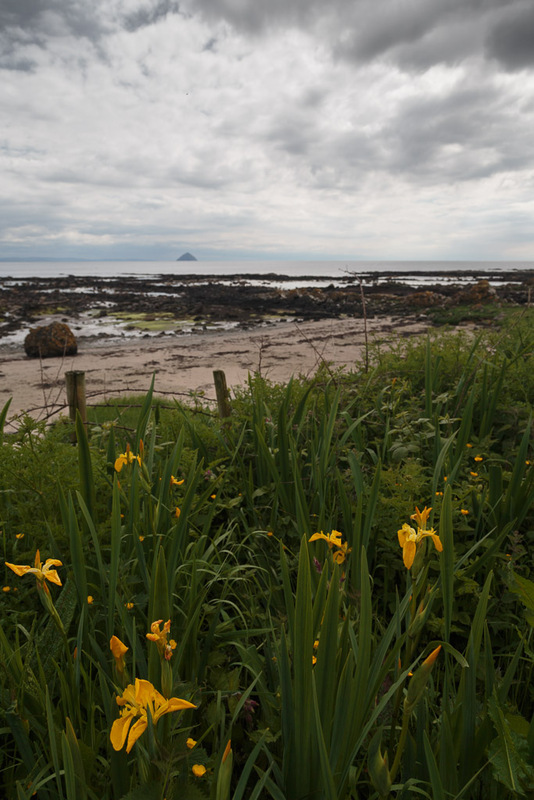 Once we had pitched the tents we decided to walk along the Kildonan shore. 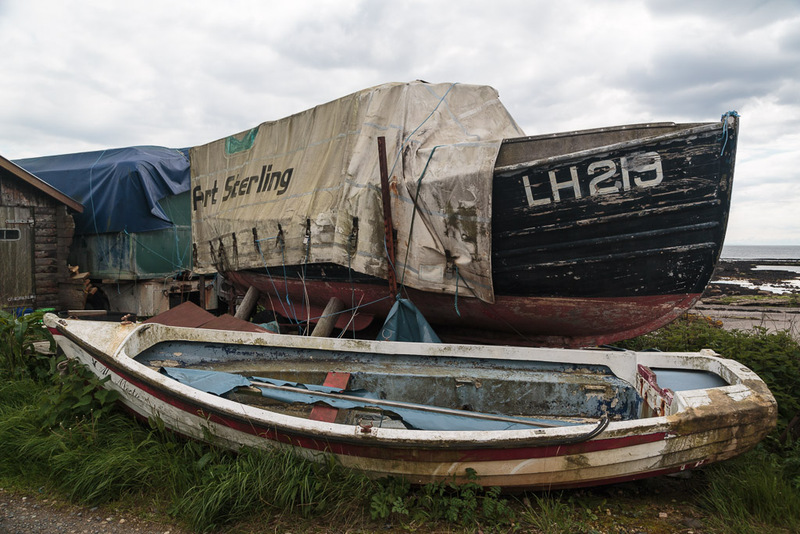 This old fishing boat has seen better days. ...they normally arrive about the same time as the midges. 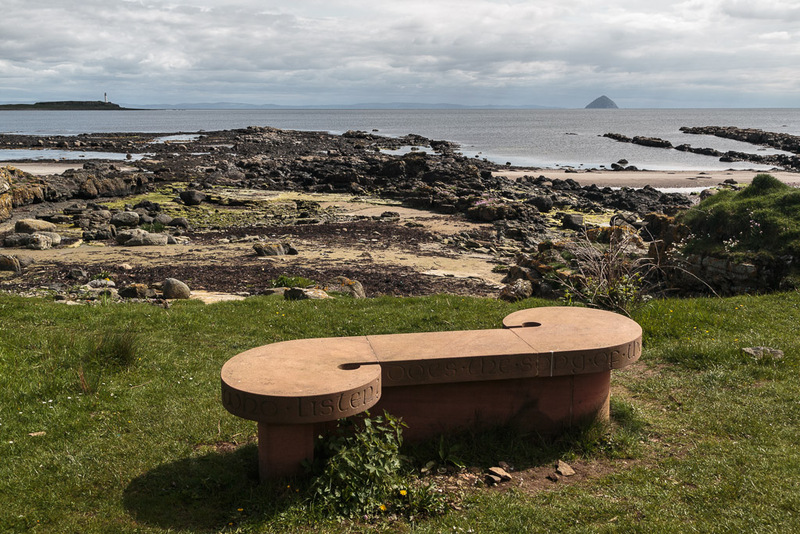 On the raised beach at Kildonan Shore you will find this beautiful carved sandstone bench. The inscription reads "Does the sound of the sea end at the shore or in the hearts of those who listen?" 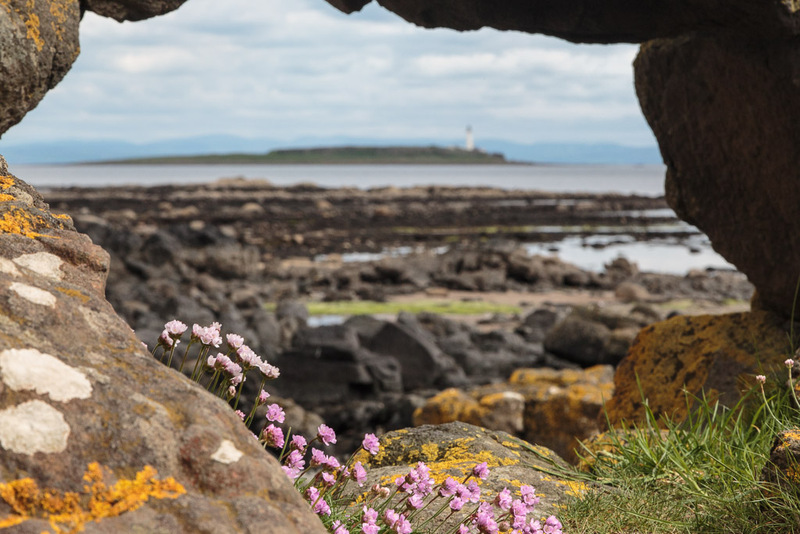 From the raised beach there is a view of the many basalt dykes that radiate out from the south shore of Arran. This swarm of dykes from the volcanic activity in the north of Arran broke through lines of weakness in the existing sedimentary rocks. These have now been eroded away leaving the harder basalt dykes standing above the main beach level. 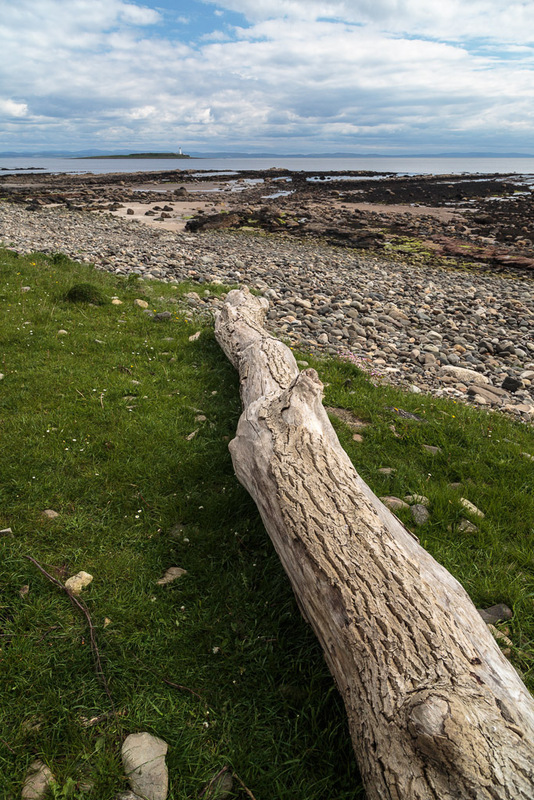 The south end of Arran is one of the best examples of a swarm of dykes in the world. It was a warm afternoon, we were rather hot and for some reason this geological wonder made Ian think of his favourite cup of tea. 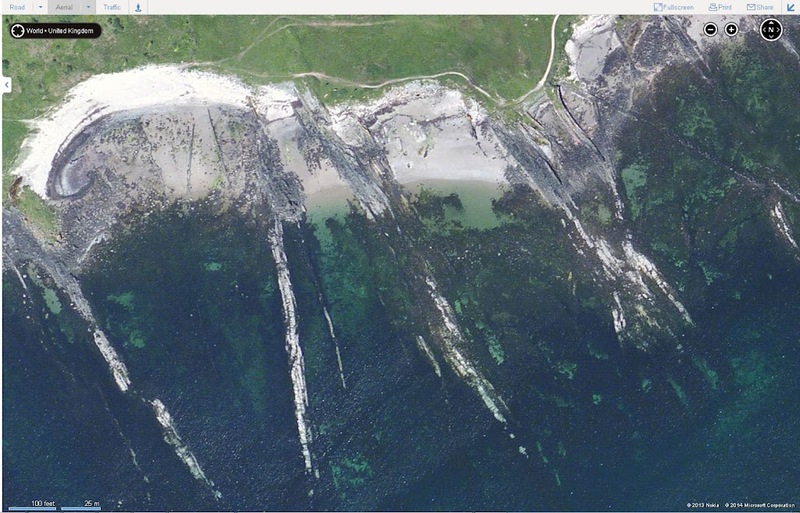 This Bing Maps view shows just a tiny fraction of the Kildonan dyke swarm, which extends for 13 km of the south Arran coastline. When you do a Google search on a small place you usually end up with a list like "Estate agents in Brigadoon, PPI claims in Brigadoon, Plumbers in Brigadoon or Meet XXXX in Brigadoon". However, if you do this for Kildonan, you get "A swarm of dykes in Kildonan". 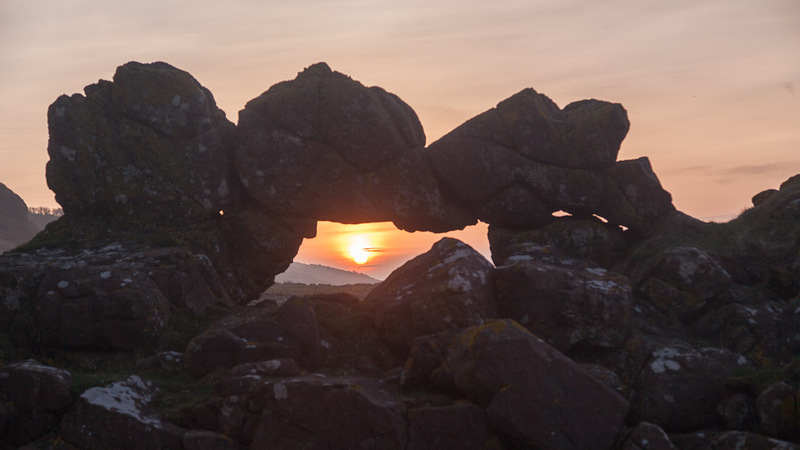 ...which I photographed the dawn on a previous visit. 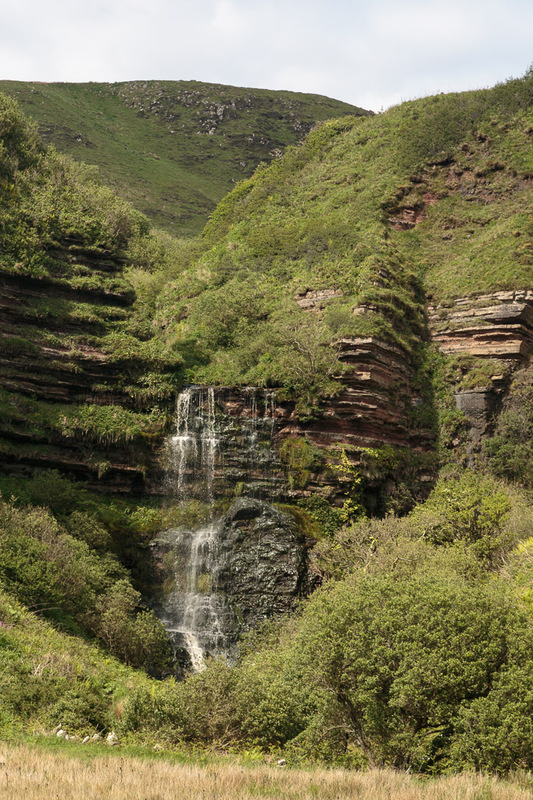 Behind the beach this waterfall cascaded over the sandstone cliffs. 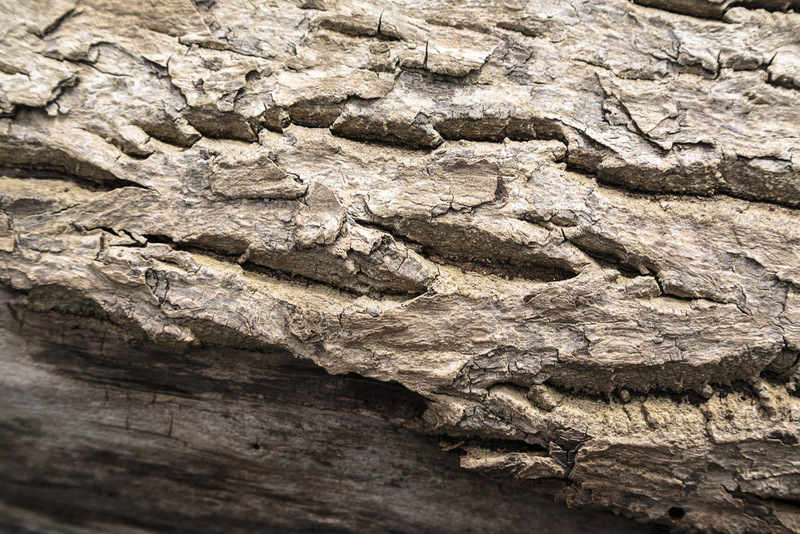 ...its wonderful bark. 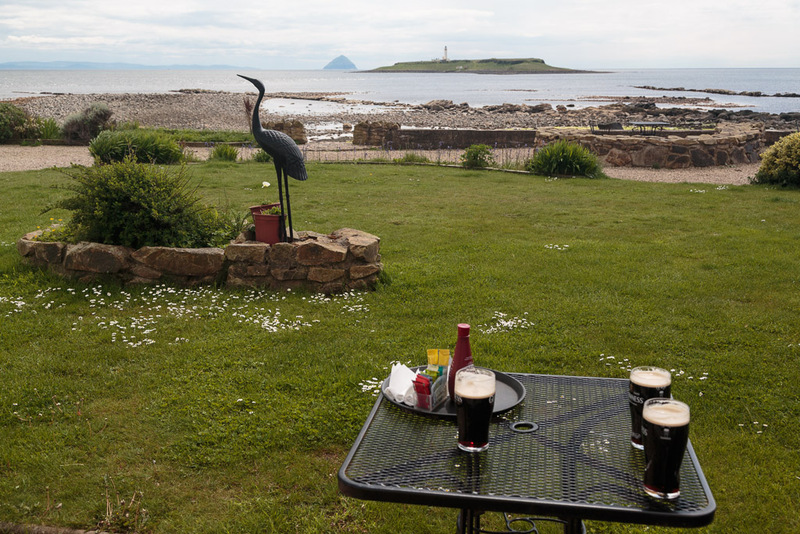 For a moment I wished we were wild camping here but we were looking forward to dinner in the Kildonan Hotel. 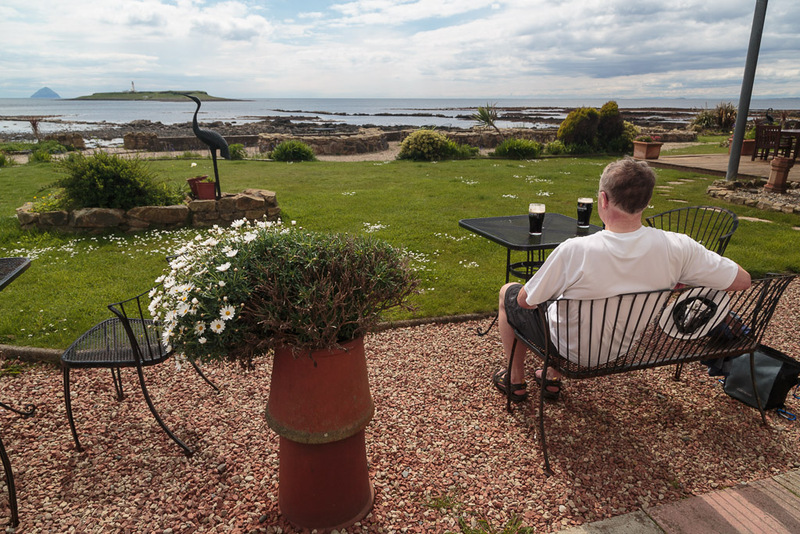 This was the view as we were enjoying the starter of scallops and black pudding.in the dining room. The MV Isle of Arran ferry was making her way out to Campbeltown passing between Pladda with its lighthouse and Ailsa Craig..